Can you believe that a USB 3.0 flash drive can be at a higher speed level than the hard drive with which your computer is configured? It’s hard to believe that but eventually it’s a fact that now high-end USB 3.0 thumb drives have remarkably evolved to easily outperform the fastest hard drive currently available. On the other hand, there are many mainstream USB 3.0 flash drive brands that are slow enough to the extent that they shouldn’t even be allowed USB 3.0 branding. Quick NoteWhen we talk about highly portable external devices, the USB flash drive is always king, as long as portability is concerned. But when it comes to speed and reliability, nothing can beat an external solid state drive (SSD) which is magnitudes faster than the fastest USB flash drive out there. Here are a few high-end USB 3.0 thumb drives that we highly recommend and deem the fastest thumb drives on the market. We have made recommendations for both categories: enthusiast and mainstream. And below this list you’ll go through a well-written guide on USB flash drives which will enlighten you more about this world with many informative tips in this regard. Lest you pay a premium for a product then later discover it’s not worth it, when picking the enthusiast flash drive we have granted the top priority to speed and reliability based mainly on online experts’ opinions published on IT professional’s websites like Anand Tech, Toms Hardware, Storage Review and other renowned technical websites to make sure that our selections are as much precise as possible. As for mainstream thumb drives, we did’t give them that much of care, and we just picked them depending on users’ reviews on Amazon.com and the advertised factory specifications. **The above test result numbers have been all taken from anandtech.com benchmark tests for each particular drive. Corsair claim the new Flash Voyager GTX drives deliver ‘SSD-Performance’ in a thin USB 3.0 thumb drive. These drives incorporate a fully fledged SSD controller. The theory is that the performance should be significantly improved over a traditional design, all without suffering from heat issues. According to Corsair, Flash Voyager GS is a large-capacity, high performance USB 3.0 flash drive in a sleek, stylish enclosure. It takes full advantage of the high-speed USB 3.0 interface, and provides full USB 2.0 backward compatibility for older systems. And, the zinc alloy body with aluminum accents makes it a USB you’ll want to show off. Patriot’s new Supersonic Rage 2 is a high capacity (up to 256GB) and high-performance flash drive packed into durable rubberized housing for secure on-the-go transfers. With reported transfer speeds of 400MB/s read and 300 MB/s write, it is one of the fastest high-capacity flash drives out there. 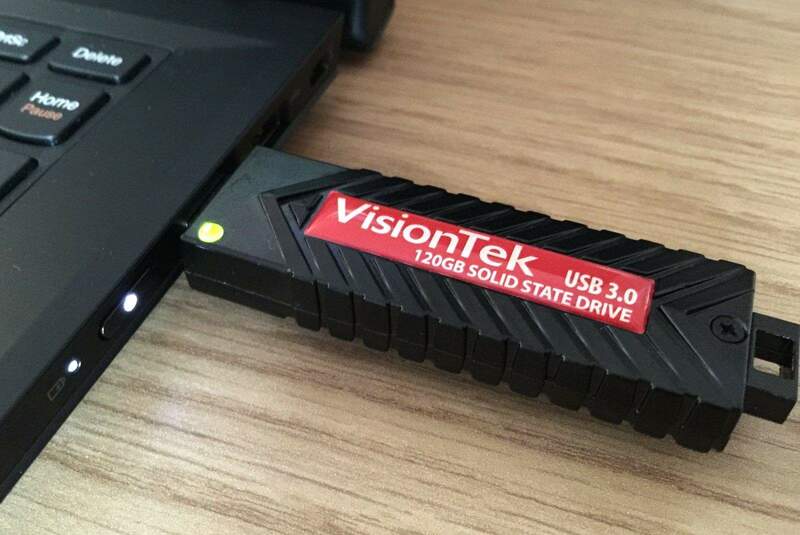 The VisionTek USB Pocket SSD gives you the capacity and speed of a 2.5-inch solid-state drive (SSD) in the body of a USB stick. While it won’t necessarily replace a traditional external hard drive or SSD in functions like backup, graphics scratch disks, and two-way sneakernet file transfers, it is reliable and speedy in scenarios where seconds count. Think about using it for local files that you need to access often, or if you want a bootable drive that can help you get your files off your laptop in an emergency. The new Ventura Ultra USB 3.0 features a high-speed 8-channel architecture that provides blazing fast USB 3.0 data transfer speeds and is backwards compatible with USB 2.0. The Ventura Ultra USB 3.0 is the perfect solution for expanding a notebook’s storage while on the go. The durable, light-weight Aluminum housing, along with its transfer speed makes Ventura Ultra line a favorite of consumers looking for fast, reliable, and portable data storage. In case somebody may not recognize it, let’s start this introduction by defining USB flash drive. A universal serial bus (USB) flash drive is a small, portable device that plugs into a computer’s USB port. Like a hard disk, a USB flash drive stores information, but with a flash drive you can easily transfer that information from one computer to another. USB flash drives have less storage capacity than an external hard drive, but they are smaller and more durable because they do not contain any internal moving parts. Their technology is simple as similar as that of solid state drives (SSD) but with some minor differences. 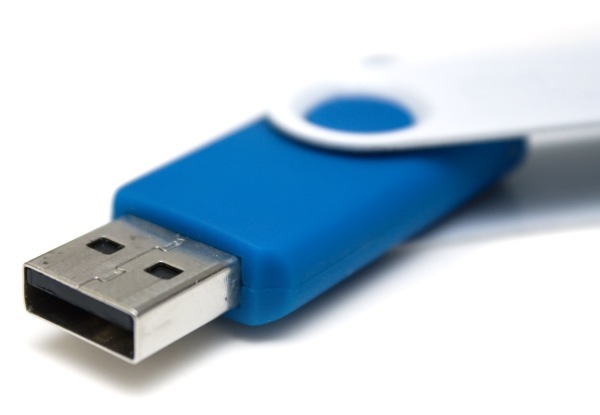 USB flash drives vary in size and shape and can hold gigabytes of information. USB flash drives are also called thumb drives, pen drives, jump drives, key chain drives, key drives, tokens, and memory keys. I remember that the very first USB flash drive I ever owned was more than 12 years ago when this kind of storage was not too popular yet and they were too expensive as the capacity is considered (I got only 256mb capacity for $60). It was a USB 1.1 flash drive and it’s speed was miserably slow. I didn’t face any reliability issue with that little storage device, and it lasted long enough with me until I decided to present it as a gift to my best friend that time and get another new one, but I heard lots of stories though about these drives’ quick failure and short lifespan. I conceive that a major factor for that was the carelessness and clumsiness with which those user handled the little drives. Flash storage technology was new at that time and a USB drive needed extra care to deal with or else it would easily fall out of action. The major reason, as I conceive, for that high rate of failure is the wrong way of unplugging the USB flash drive from the computer. USB flash drives were very sensitive to electricity and any electrical shock would ruin them, and for that reason operating systems offered a feature to handle that issue correctly, like the “Safely Remove USB Flash Drive” feature in Microsoft Windows XP and later. USB drives were conceived in a world where shuttling office documents back and forth was all you needed. But that’s not good enough anymore. Today, you need to move large images, huge videos, and enormous music collections. You need the capacity to hold them, and more importantly, you shouldn’t have to wait. I am sure that most of us have had really unpleasant experiences with USB flash drives, dating back to USB 1.1 and 2.0. I wish you hadn’t then an important DVD-sized video file that you wanted to move to another machine. So, it’s somewhat little weird and hard to believe that a USB 3.0-connected thumb drive should be able to outperform the mechanical hard drive inside of your desktop computer. But now the high-end USB flash drives can easily outperform any high-end enterprise hard drive like the new and improved WD black 6TB hard drive. Now most modern mainstream USB drives are initially fast until it’s time to copy a large file and you’re looking at a progress bar that lingers around too long. I am not going to explain why this happens as I am not intending to dive deep into technical stuff lest we derive from the main purpose of this topic. But then what’s the solution for this unbearable slowness It’s to integrate an SSD controller and SSD-grade NAND memory into a USB flash drive. High-performance flash drives have traditionally employed a SATA SSD controller behind a USB 3.0 – SATA bridge. The theory is that the performance should be significantly improved over a traditional design, all without suffering from heat issues. However, this increases the drive cost in what is essentially a price-sensitive market. Controller vendors have recently started to introduce native high-performance USB 3.0 flash controllers which is supposed to make high-end speedy USB flash drives cheaper. But do all these serious advances and developments of the technology USB flash memory make them faster, or even equal, to USB external SSDs? Actually the answer is NO WAY. The compact and tiny size that makes a USB flash drive highly portable needs to pay the price from its performance. Therefore you should never ever expect a USB thumb drive to reach the speed of USB external solid state drives, at least in the near future. What about USB 3.1 Flash Drives? Many power users are waiting for USB 3.1 for its ability to shuffle data between host devices and peripherals at speeds of up to 10Gbps (bits per second), that is two times that of the existing USB 3.0 protocol. USB 3.1 is also known for its user-friendly Type C cable, which looks the same on both ends so users don’t have to worry about which way to plug. But there arises a problem here. The USB 3.1 technology may be overkill for thumb drives, which are generally inexpensive. The USB 3.1 chipset is costly, and that may discourage thumb-drive makers from adopting the technology. So until this technology becomes cheaper we may then see high-end thumb drives—which are still relatively very expensive even while they are USB 3.0-oriented—adopting this new technology. The unparalleled speed of an external solid state drive (SSD) makes it a very appealing choice for a wide variety of users who don’t put the extreme portability at the very top of priorities, while others look for a good compromise between extreme portability featured by the tiny size of a USB flash drive and high speed, even if this speed is less by the half or more than an external SSD. Here, in this section, we will make a quick comparison table between Samsung T1 External SSD, which’s our top-pick external SSD, and Corsair Flash Voyager GS USB Flash Drive which features our top-pick of the fastest high-end USB 3.0 flash drives. Just note that we rely on anandtech’s real-life CrystalDiskMark 5.0.2 benchmark numbers for both drives in the table. The other details are acquired from Amazon’s product’s page for each drive. 417.2 MB/s Max. 290.9 MB/s Max. 404.2 MB/s Max. 308.5 MB/s Max. Very high speed that makes it the fastest external storage solution out there. High portability and the easiest-to-use external storage solution. Requires a USB cable to function. Much slower than external SSDs by more than the half of speed. You already have come to know that the strongest side of a USB flash drive is its tiny size that can be, in some very small flash drive brands, as big as the tip of your tip finger. Moreover, unlike external SSDs/HDDs, USB flash drives do NOT need any USB cable to connect to your PC, it just connects directly. Its small size offers high portability to the extent that you can even keep it inside your wallet or in your key-chain and take it with you everywhere you go. Its dispensation with any extra equipment (like a USB cable) to operate would free your mind of carrying and taking care of two pieces that must be together. This advantage makes it the easiest- and quickest-to-use external storage solution out there with the minimalist hassles. With the evolution of flash memory a modern USB flash drive has become very reliable and can last with you for many years. for that reason high-end flash drives come now with 5-year limited warranty, and that’s too much for a USB flash drive to last. 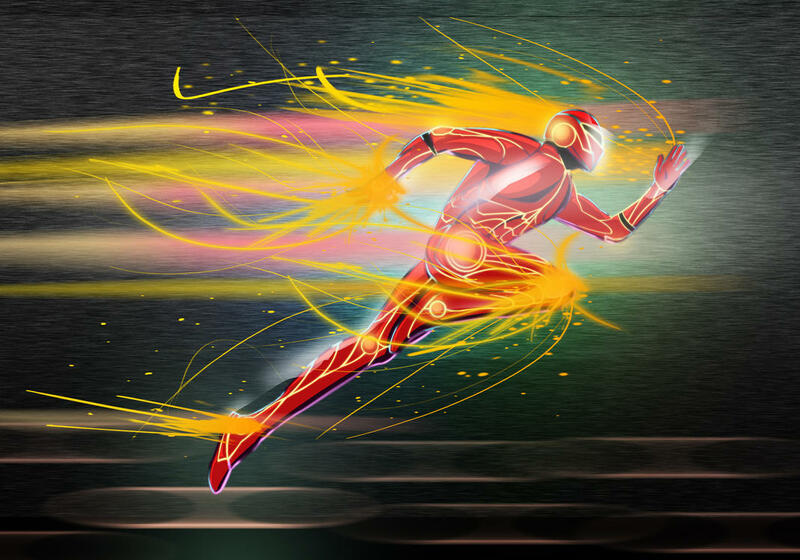 As far as speed is concerned, just bear in mind that a high-end USB flash drive is much faster than the fastest external hard drive, and this should make you relax. As for capacity, you don’t need to go for the very expensive model of a USB flash drive that comes in 1TB capacity. I would rather prefer a 512 GB capacity for professionals as I believe it is pretty much enough for a temporary storage to use for emergency situations. Otherwise, a USB flash drive is not really meant to be a permanent storage in the first place, unless your backup files are limited enough to fit into that capacity. 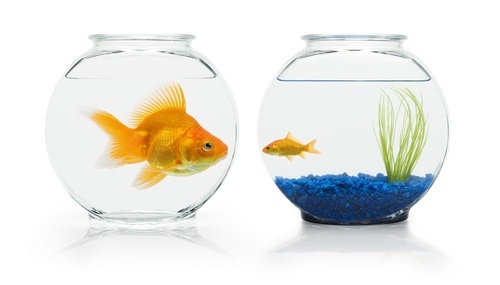 You may, by now, have got a clearer picture about both storage device types. But for the sake of research I will list below the disadvantages of external SSD when put in comparison with a USB flash drive. Less practical than flash drives due to the imperative need of a USB cable which means that you have to carry two pieces with you to get it working. They are more suitable for permanent backup storage than USB flash drives for the larger capacities they offer in adequate prices. Honestly I prefer a USB flash drive for its high portability and ease of use. This is my personal opinion that exactly matches my needs. You may not be like me though due to the type of filed you work in. Just balance between the advantages and disadvantages of both devices and gauge your needs accordingly then you’ll find it clear on what exactly you want. Regular/mainstream drives. These drives suit most users and come in very cheap prices. Their transfer speed is adequate (maximum transfer rate is about 130 MB/s) and their price is really cheap ($35 for 128GB capacity). And as far as I know, the maximum capacity of mainstream USB 3.0 flash drive I have found is 128GB only. Mainstream or Enthusiast Thumb Drive? The majority of users are supposedly fine with mainstream flash drives, especially when they don’t deal with computers that are configured with solid state drives (SSD). This is a very important thing to note that a high-performance USB flash drive that comes with huge transfer rate will NOT be of any avail if used to transfer a file from/to a computer with a traditional mechanical hard drive (HDD), that’s because the read/write speed of mechanical hard drives is SLOW already, and your USB flash drive, no matter how speedy it is, must adapt to that low level of hard drive’s speed. Always bear this in mind when going to choose between the thumb drives. There’s another strong and valid reason for going with a high-performance USB flash drive that you want to run portable operating systems or software applications externally without the need to install them on the computer you are working on. In this situation you’ll make the utmost use of the USB flash drive’s high speed. 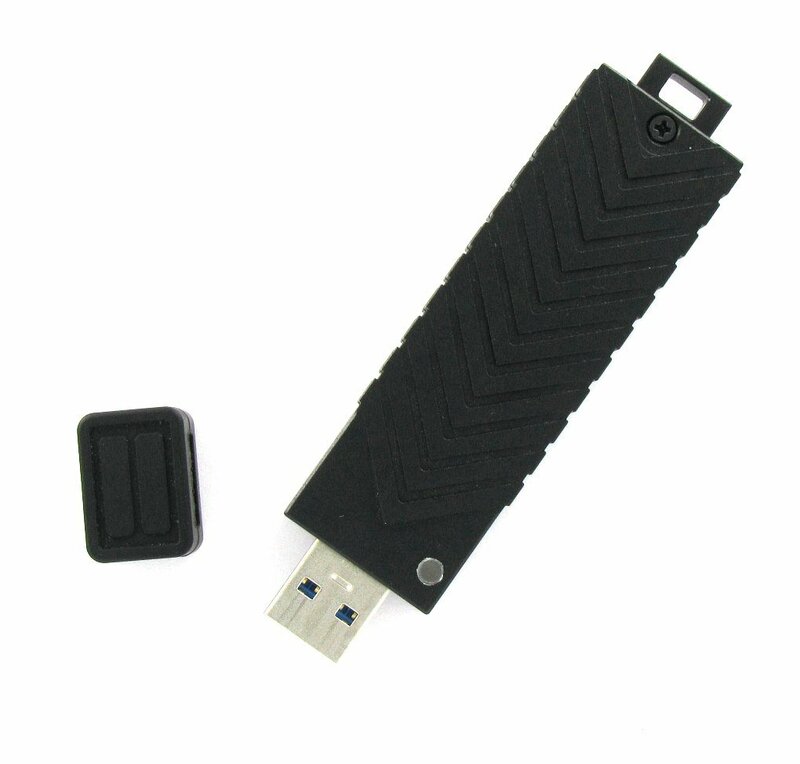 Also this offers high flexibility and more security especially if the files on your USB flash drive are encrypted.